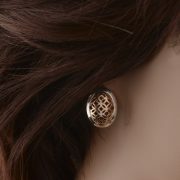 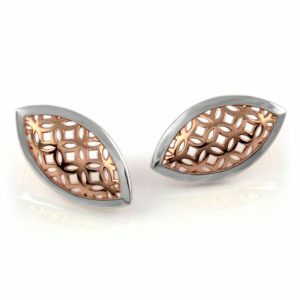 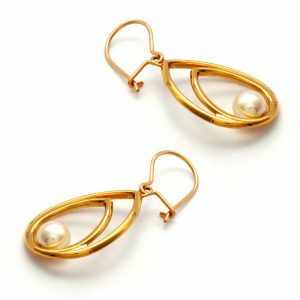 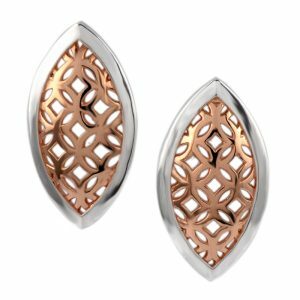 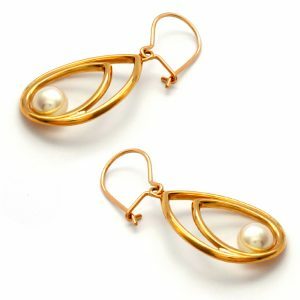 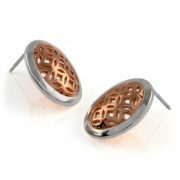 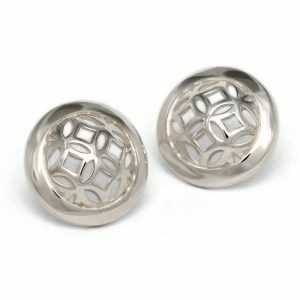 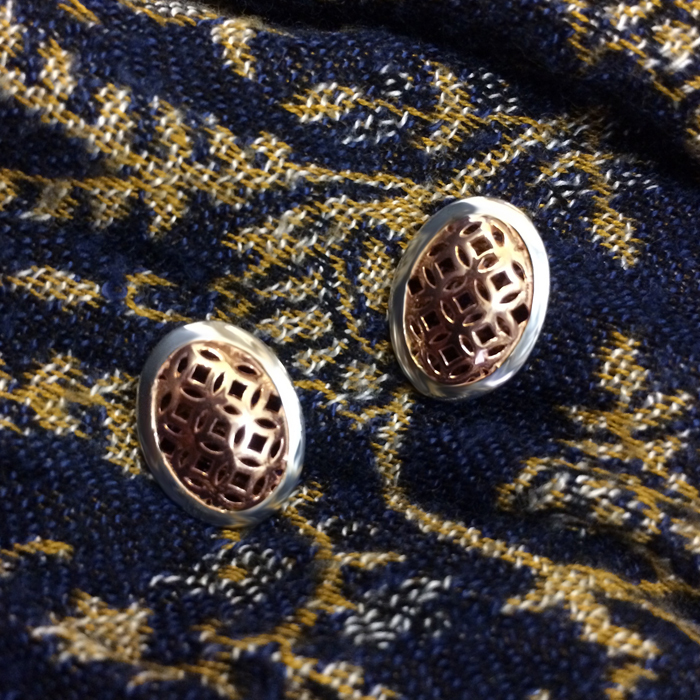 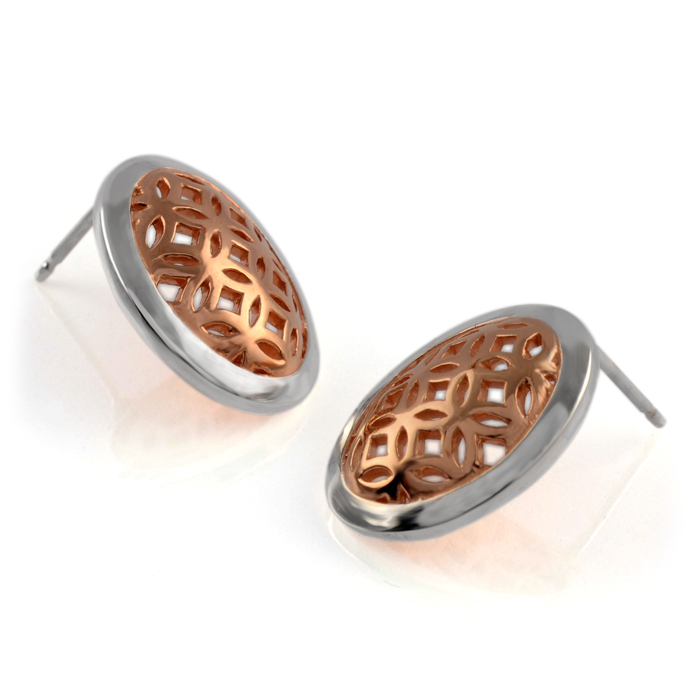 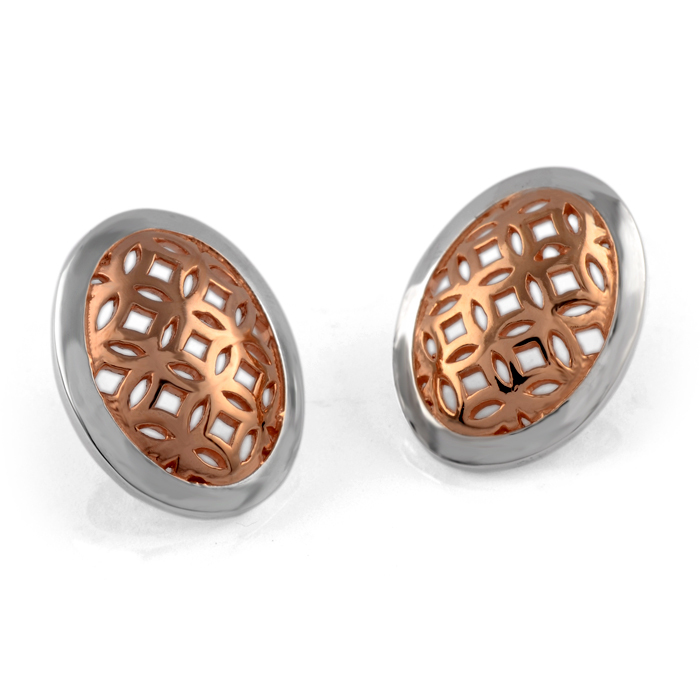 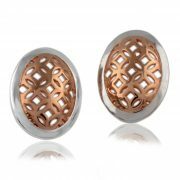 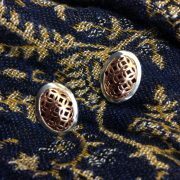 Small oval shaped stud earrings featuring an outer rim containing a geometric pattern of interlocking circles with a domed profile. 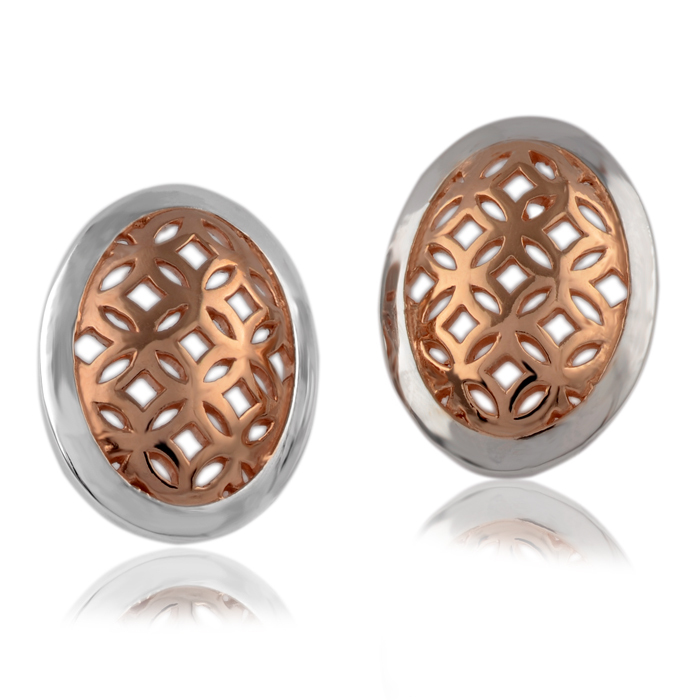 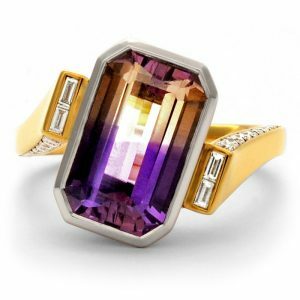 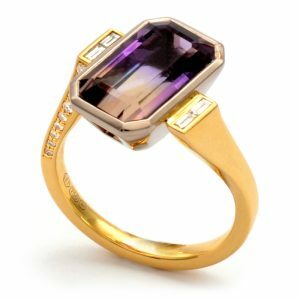 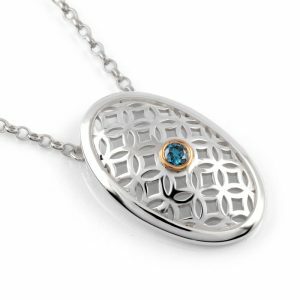 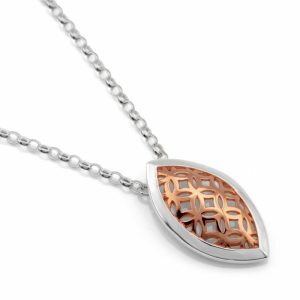 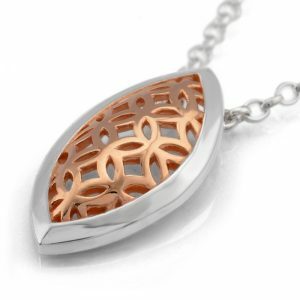 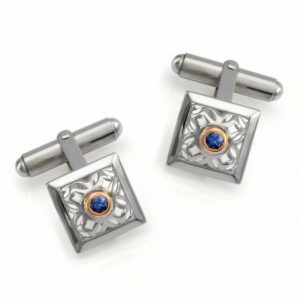 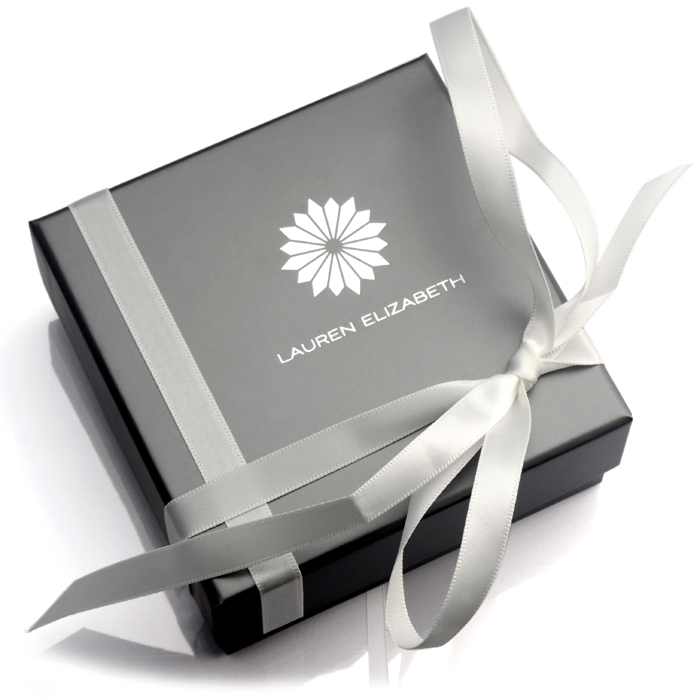 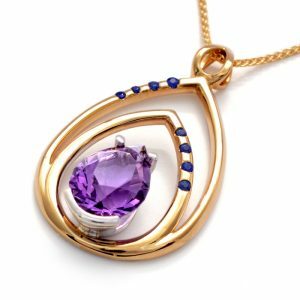 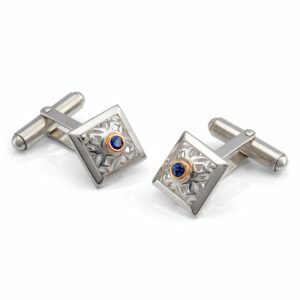 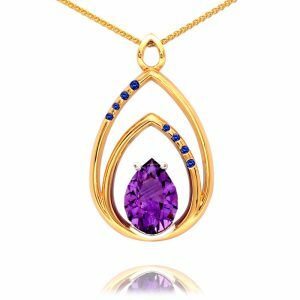 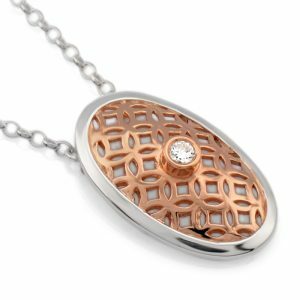 Pictured in polished sterling silver with selective rose gold vermeil. 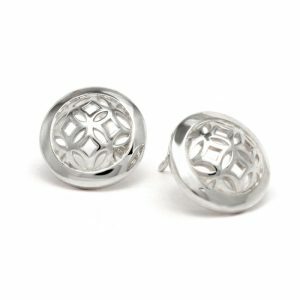 Featuring butterfly scroll backs.